There is plenty of information on the internet about building and installing your own vinyl fence. However, that doesn’t always mean it’s a good idea to do it yourself. There are a few advantages that you get from working with a professional fence installer like Future Outdoors. One of the biggest advantages of having your fence installed professionally is saving time versus installing it yourself. Fence installations can be tricky and time consuming, especially if you don’t have much experience. However, our experienced fence crew can install a new fence in just a day or two – and you won’t have to do any of the work yourself. Another major advantage of working with a professional fence installer is that you can actually save money. Depending on the type of fence you want to install you will need to buy materials, tools, and hardware such as screws, nails, or brackets. You will also need to factor in the costs of material delivery and the removal of any waste or old fence materials. In contrast, the cost of a professional fence install takes all of these factors into account. Plus, professionals have the tools and equipment they need already, and can buy materials in bulk at a discount. These savings are factored into your costs, so you often end up paying less than you would when you install on your own. Fence installations can be tricky. It’s important to make sure all the posts are set deep enough, totally secure, and standing straight and level. The panels need to be secure, level, and properly lined up. Corner angles must be measured correctly, and gates need be be secure and strong. If you don’t have the necessary skills or experience, it’s likely you could make a mistake that affects the quality of your finished fence. Professional fence installers, on the other hand, do have the necessary skills. They can install your fence quickly and without mistakes, and even guarantee the quality of your new fence with a warranty. In other words, you don’t just get a higher quality fence – you also get peace of mind. Along with ensuring a higher quality result, having your fence installed by Future Outdoors also ensures you don’t need to worry about it. Installing your fence yourself can be stressful, especially if you are trying to get it done quickly or do it in your free time. When you get your fence installed, you don’t need to worry about the process and simply get to enjoy the result. Finally, getting your fence installed ensures you won’t suffer from any legal problems. Codes and permits can be big obstacles to DIY fence installations, especially if your home is part of an HOA. You will likely need to provide plans to your local permit office and get the necessary permits for your area. When you work with Future Outdoors to have your fence installed, though, you don’t need to do any of this work. 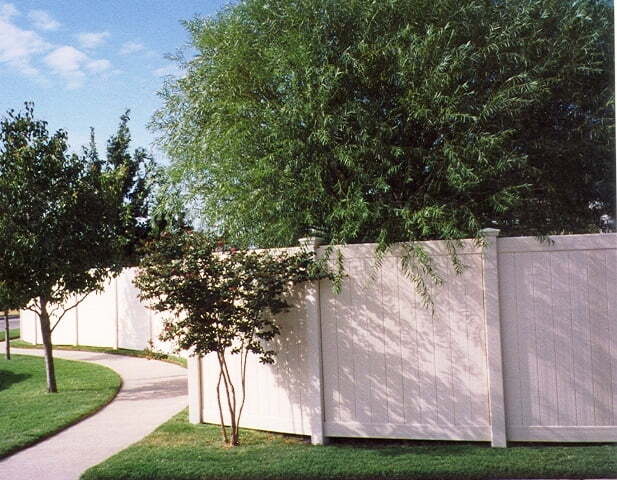 We take care of all the permits for you, and ensure your fence is built according to code. If you’re interested in getting a new fence at the best price, without the stress of installing yourself, give us a call today at Future Outdoors. We can help you choose the best fence for your needs and get it installed easily. Call (972) 576-1600 today or visit us on Facebook to see pictures and read reviews from previous customers.